Book blogger, audiobook lover and shamelessly honest reviewer. Mostly read fantasy, mystery, romance, UF and YA but all genres welcome. 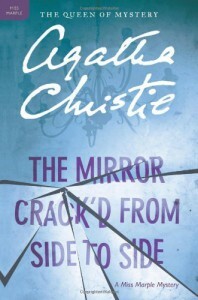 The Mirror Crack'd from Side to Side is one of the few books by Agatha Christie that I hadn't read before, but I saw the movie on Masterpiece Mystery so I knew the denouement. Like the last book, I thought there was something missing here. Maybe too much extraneous information about the change in small villages? It seemed to have gone on and on about the Development. The book is still good but you can definitely see this is at the end of Mrs. Christie's career.